In 1921 Sir Henry “Tim” Birkin turned to motorracing, competing a few races at Brooklands. Business and family pressure then forced him to retire from the tracks until 1927 when he entered a three litre Bentley for a six hour race. For 1928 he acquired a 4.5 litre car and after some good results decided return to motor racing very much against his family’s wishes. 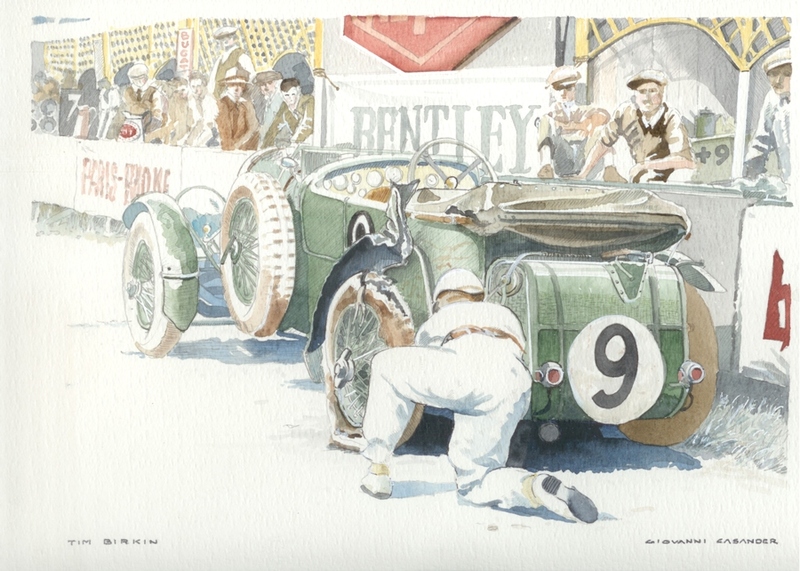 Soon Birkin was one of the Bentley Boys, described as ‘the greatest Briton of his time” by W.O. Bentley. In 1928 Birkin entered the Le Mans race again, leading the first twenty laps until a jammed wheel forced him to drop back, finishing fifth. He won the race in 1929, racing the “Speed Six’ as co-driver to Woolf Barnato.